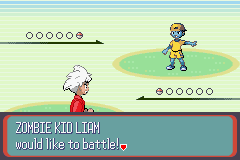 You awake in what used to be Littleroot town, having no memory of how you got there or even who you really are. It soon becomes apparent however that something very big has happened while you were out: Hoenn has been invaded by an army of zombies. 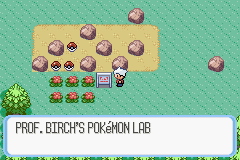 Working with Prof. Birch, you set off to find your brother Landon and Birch’s daughter May, who have both gone missing in an attempt to find the source of the undead plague. At the same time, you try to uncover your past. On the way you face zombies, witches, demons and the enigmatic Taoist, Gleis, as well as the Four Horsemen of the Apocalypse, the Hoenn Internal Affairs Army, and, eventually, the architect of all this misery himself: Senex. However, it isn’t nearly as dark as all that: there are also the cheerfully insane (and improbably numerous) Deadly Seven, the unruffled and cynical Army Recruiters Tina and Bruce, and a psychic dragon’s egg. Not to mention a special appearance from the Denjuu universe. 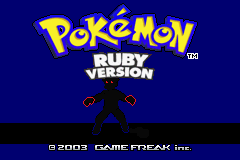 A few type changes for Pokémon here and there. There is a part of the introduction that says ‘And you are?’, which appears to be unresolvable. 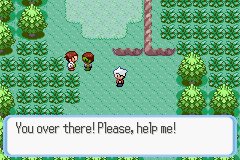 Don’t pick berries on Route 114., apparently it causes the game to freeze.